If you watched the 2015 Summit League championship game, the 2016 game seemed like deja vu except for one crucial piece, the victor. In 2015 the Scott Nagy South Dakota State Bison completed their championship sweep by winning the regular season and tournament titles. While the teams remained the same, the 2016 season tournament would prove a much different outcome as South Dakota State expanded their narrow halftime lead to double digits in the second half. The Jackrabbits would hold off a late Bison charge and punch their automatic ticket to the NCAA Tournament with a 67-59 win. The 2015-2016 season proved to be another solid season for Scott Nagy and the Jackrabbits. South Dakota State ended the regular season at 25-7 with a 12-4 conference record. 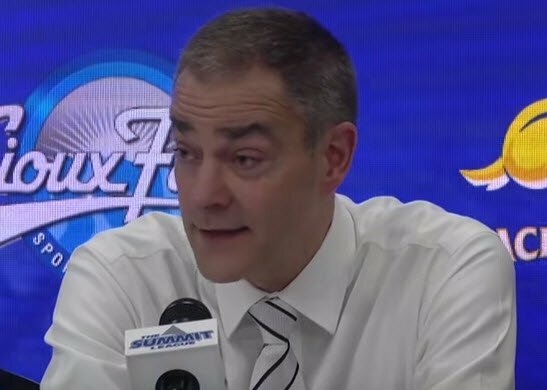 This was good enough for the Scott Nagy South Dakota State Bison to claim the 2nd seed in the Summit League Tournament behind regular season champion Indiana Purdue Fort Wayne (IPFW). 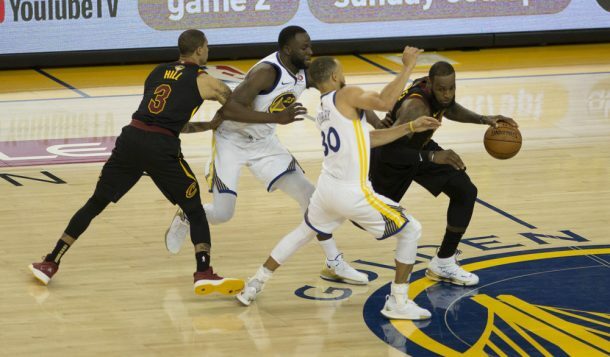 Ironically, the championship game of the tournament was by score their easiest. South Dakota State won their 1st round game vs. #7 Oral Roberts 73-70 and then in the 2nd round defeated #6 Denver 54-53. The 8pt. championship win vs. #5 North Dakota State was South Dakota State’s 6th consecutive victory and has propelled the Jackrabbits into the NCAA tournament. Overall the Jackrabbits are averaging a +8 scoring advantage over their opponents (76.3 ppg to 67.8). 45% from the field and 36% from 3. The Jackrabbits attack the basket style of play led them to average 17 FT attempts per game where they average 73.9% from the line. Coach Scott Nagy has the team prepared to make another tournament run, this time in the NCAAs. Currently, SB Nation has the Jackrabbits predicted to jump in as a 13 seed in the West Region. These couple of sets from South Dakota State might be a nice wrinkle to throw in if you are still playing, for summer leagues, or next season. PG will execute a dribble handoff with the wing FT line extended. The wing (2) will pass to our other guard (3) and 3 will reverse the ball to 1 coming off the double stagger.